Sylvia completed a BSc (Hons) Physiotherapy degree at the University of Ulster, Northern Ireland graduating in July 1999. She now has over 15 years of international experience in both private and public settings. After many years living and working abroad, she has recently returned to her native Galway with her family. Sylvia began her career in Ireland gaining clinical skills across a range of specialties before moving abroad to work in Auckland hospitals and private practice in New Zealand. On returning to Ireland she worked as a Senior Physiotherapist at a district hospital before moving to the UK. Here she gained further clinical experience and expertise working in the Royal Berkshire and Battle Hospitals NHS Trust, Reading. Throughout these years she acted as a team physiotherapist for various sporting teams. On returning to Ireland Sylvia worked in private practice and it was here she was introduced to the world of Women’s Health. She knew this was the clinical field she wanted to develop and specialise in. In 2007 Sylvia secured a post at the Rotunda Hospital, a leading maternity hospital in Dublin and the most active maternity hospital in Europe. After one year she became Senior Physiotherapist. Sylvia gained invaluable experience at the Rotunda including specialist experience in both inpatient and outpatient antenatal and postnatal obstetric patients, gynaecological and urological patients and paediatrics. She delivered regular antenatal and postnatal exercise classes as well as aquanatal classes in the community. Sylvia was a committee member for the Women’s Health Association within the Irish Society of Chartered Physiotherapists 2010-2011. After a short career break Sylvia returned to the UK and worked in the Women’s Health outpatient department with Pennine Health NHS Foundation Trust, Manchester. She also had a role in general musculoskeletal outpatients which complimented her role as a pelvic health therapist. She returned to Galway towards the end of 2017. Throughout her career Sylvia has always stayed up to date with developments in the profession, particularly in Women’s and Men’s Pelvic Health. With a strong focus on evidence based high quality care been underpinned by her experience, she is committed to providing a patient centered and individual approach. She is passionate about educating and empowering clients with skills to improve their symptoms and increase their confidence to achieve their goals. 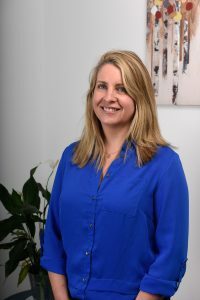 Sylvia has had extensive post-graduate training in the management of pelvic floor dysfunction for both men and women and in pregnancy related musculoskeletal disorders. Conditions she treats include (but are not limited to) ante and postnatal pregnancy related musculoskeletal pain to include pelvic girdle pain, low back pain, rib pain, carpal tunnel syndrome, diastasis recti (abdominal separation), obstetric injuries, pelvic organ prolapse, stress, urge and mixed urinary incontinence, overactive bladder, bowel incontinence and/dysfunction, sexual dysfunction, post-operative hysterectomies and repairs, pre/post prostate surgery, scar management and pelvic pain. Sylvia understands the sensitivity of pelvic health issues and will treat all patients with dignity, respect and understanding. Her excellent blend of professionalism and approachability mean that she is perfectly suited to working in this area. Sylvia is a registered member of the Irish Society of Chartered Physiotherapists (ISCP), Chartered Society of Physiotherapists UK (CSP), Chartered Physiotherapists in Women’s Health and Continence (CPWHC), Health and Care Professions Council UK (HCPC) and an affiliate member of the Pelvic Obstetric and Gynaecological Physiotherapy group UK (POGP). Sylvia enjoys walking and cycling. She has competed in triathlons and enjoys a game of golf. Sylvia is available for appointments on Monday, Tuesday and Thursdays. If you would like to book a session with Sylvia you can call the clinic on 091 727777 or get in touch via the contact page.